The Hebrew word for a marriage is Kiddushin, from the same root as kadosh, meaning “holy.” In Judaism, the locus of holiness is in relationship, specifically a relationship of love. A relationship of love is the foundational metaphor of God and Israel, who were “wed” to one another at Mount Sinai. Throughout our tradition, the message appears over and over: the most powerful kind of holiness, the very presence of God is in the lifelong committed love of two human beings. When we celebrate Kiddushin, our deepest hope is that the holiness we encounter in the love of these two individuals coming together can serve to inspire us all to bring holiness and peace to the whole world. Give us a call at (860) 346-4709 today! Learn more about the venue and how we can accommodate your beautiful wedding at Adath Israel! Of the many joys of Jewish life, few moments match the whole-hearted happiness and emotional power of celebrating the marriage of two loving partners under the huppah (the wedding canopy). Participating in marriage means living out some of our most treasured values–love, family, community, spiritual growth, commitment, and holiness. Judaism challenges each new wedded couple to embrace the same promise and optimism of Gan Eden (the Garden of Eden) –that a marriage partnership can serve as catalyst and inspiration for true harmony among all of God’s creatures. Those gathered to witness the building of this “new house in Israel” are likewise charged with supporting the emotional, spiritual, and religious well-being of both partners during this time of transition as the foundation stones of this new family are put into place. The marriage ceremony, officiated by a messad(er/et) kiddushin (one who orders the ritual service of marriage), usually a rabbi, combines two longstanding rituals (which, in former times, were separated by a year or more) – erusin and nissuin. Erusin (or betrothal, the ceremony that binds the new couple exclusively to each other), similar to modern engagement, is marked by blessings and the gift of rings, while nissuin (the formal marriage agreement), seals this sacred bond with seven blessings recited over a cup of wine. Before or during the ceremony, two or more witnesses sign a ketubah (an ancient legal formulation or marriage contract, originally created by the ancient rabbis to protect the financial security of women). Many couples choose to purchase a ketubah text illuminated with professional artwork or personalized symbols that is later framed and displayed in their home. The marriage ceremony ends with the breaking of a glass–most traditionally understood as a gesture of mourning for the destruction of the Temple in Jerusalem. This ritual also serves as a reminder to this new couple of their responsibility to fuse together the broken shards of our world through the mitzvah of tikun olam (repairing the world). During the week that follows the ceremony, many couples choose to continue celebrating their marriage with festive meals called sheva brachot, in the homes of family and friends. The invitation of panim hadashot, or new faces, guests who did not attend the wedding ceremony, allows for the repetition of the seven blessings recited under the huppah during birkat hamazon, the blessings after the meal. Couples often decide to mark the celebration of their upcoming marriage with an aliyah to the Torah on a preceding Shabbat and to receive a special blessing from Rabbi Haaz. This ritual allows the couple to share the joy of their upcoming marriage with the larger community. It is customary, though not required, for the couple or their families to sponsor the community kiddush held after services by contributing to or covering the cost of food. We encourage both women and men to visit the mikvah, or ritual bath, close to the date of the wedding; immersing in the mikvah is a ritual of purification and rebirth in advance of one the most sacred days of their lives. Adath Israel recognizes the great importance of marriage in building and supporting communities through acts of hesed, or lovingkindness. Historically, wedding parties were arranged not just to celebrate the couple, but to give back to and provide for the community. All were welcome to attend–and the poor were served first. Many couples are fortunate to have received generous gifts in honor of their marriage, and we encourage giving a portion of those gifts to tzedakah and most especially to the cause of feeding the neediest among us. 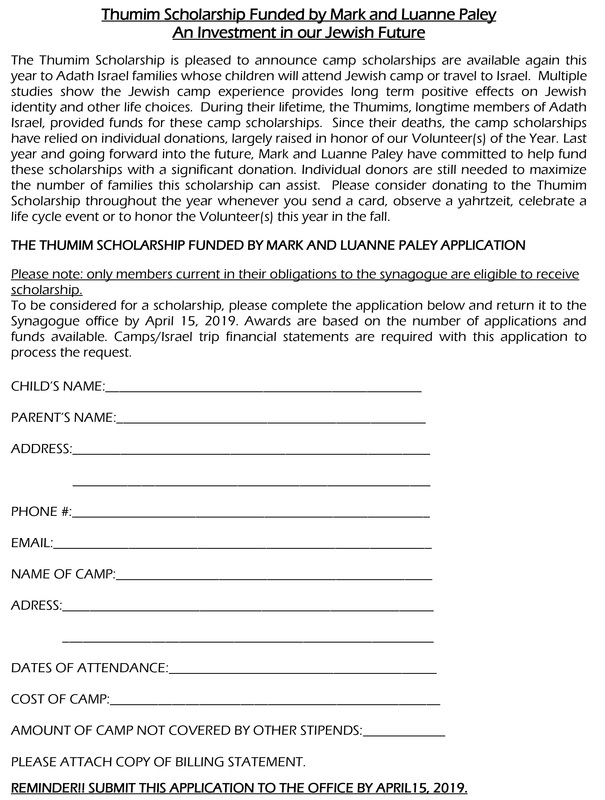 Learn more about providing for the needy at the time of your simcha. • Both individuals must be Jewish. • A get (a ritual divorce) is required if there has been a previous Jewish marriage for either partner. • Civil marriage is required. • A traditional ketubah text as well as Tannai b’Kiddushin (an additional a document that protects the bride) is required. It is very important that you contact the Adath Israel office early on in your planning schedule and before making any final decisions about a date and a venue, to ensure that Rabbi Haaz is available. Several months in advance of the ceremony, couples will have a series of meetings with Rabbi Haaz. During these sessions, Rabbi Haaz will offer spiritual counseling in preparation for this very sacred occasion and guidance about building a strong marriage and a Jewish home. During these meetings, Rabbi Haaz will also plan your wedding out to every fifteen minutes from your arrival through to the reception. These meetings will also help Rabbi Haaz to learn about you as a couple so that he can tailor the ceremony to your personalities and wishes an make your chuppah a uniquely special first home to begin your marriage together. Adath Israel is pleased to offer its beautiful, historic sanctuary and social hall for weddings, depending on availability. Contact Joanna Schnurman at (860) 346-4709 for more information.